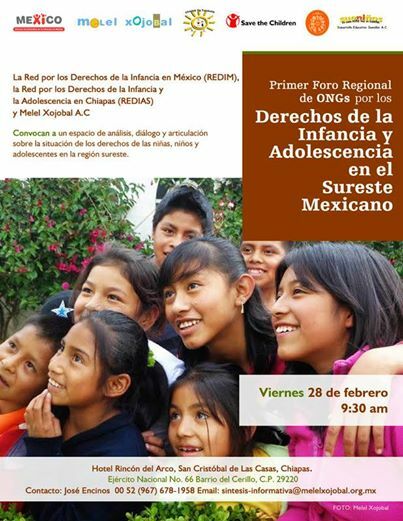 On 19 July, a 12-year old minor was shot in the Nahua community of Ostula. municipality of Aquila, Michoacán. Hidelberto Reyes García was in a shop when he was hit by a bullet fired by a military convoy comprised of 30 vehicles. According to the official version of the events, the soldiers were shooting in the air. During a press conference, the land commissioner Agustín Vera declared that the army was not provoked by the communards: “They acted in an arbitrary manner.” He also repudiated the official version: “The military troops shot in the air so people would get out of the way and they shot civilians.” Of the ten wounded people four are minors. One of the victims has disabilities, and another one is more than 60 years old. They were injured by bullets and tear gas. Cemel Vardía Cepeda, commander of the community police of Ostula and general coordinator of the self-defenses of three municipalities, was arrested the same day of the attack. He was accused of carrying weapons reserved to the army as well as of burning ballots during the July 7th elections. “A member of the self-defenses declared that government authorities requested him to appear at a meeting in the village of La Placita, municipality of Aquila, where he was detained and moved to Morelia and soon afterwards to the maximum security prison in Tepic, Nayarit,” said a member of the self-defense forces. During the same operation, which involved more than a thousand police and federal authorities, other members of the self-defenses were detained and their radios and weapons confiscated. Members of police authorities have expressed their support for the accused, arguing that his weapons had been given to him by the government, since Cemel was part of the Rural Force. They understand this detention as an attempt to weaken the community’s self-defense system. It is important to remember that Ostula recovered around 300 hectares of land on June 29, 2009, exercising its right to autonomy as a Nahua village and against drug-trafficking and mining exploitation. Since that time, 32 communards have been murdered and 5 have disappeared. 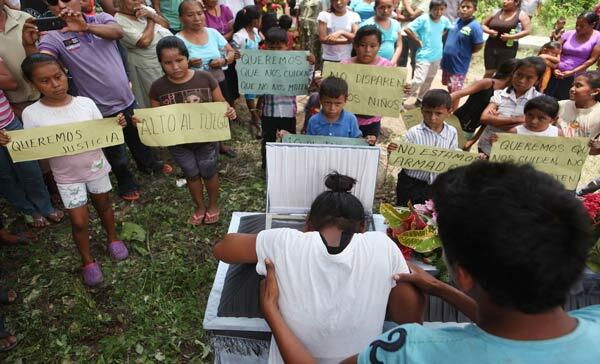 Several communiqués in social media showed support for the people of Ostula, demanding investigation and justice for the victims and the wounded of the Nahua community. Some of them are the joint communiqué of the Zapatista Army of National Liberation (EZLN) and the National Indigenous Congress (CNI), or the one released by the Network for the Rights of Children in Mexico (REDIM). Symbolic protests were carried out in Guadalajara, Jalisco; Morelia, Michoacán; Tehuacán, Puebla; Comitán, Tapachula , and San Cristóbal de las Casas, Chiapas; La Paz, Baja California; Poza Rica and Xalapa, Veracruz, and in Mexico City. Protestors carried black umbrellas to symbolize the protection that is sought with this new law.